In this Aite Group Partner Research report, Alphacution presents one-of-a-kind research on asset managers’ technology spending estimates. Boston, April 25, 2018 – Understanding patterns in firms’ technology consumption offers unique insights into shifts in both business strategy and operational efficiencies. But the main challenge in discovering technology consumption for the asset management universe is that these firms are mostly private, if not highly secretive; therefore, accessing the right data presents some challenges. How does one answer the question of what asset managers spend on technology? This new report, authored by Alphacution's Paul Rowady and edited by Aite Group's Sang Lee, identifies an alternative path to the estimation of technology spending for asset managers. It relies on answering a different question: How do asset managers scale? 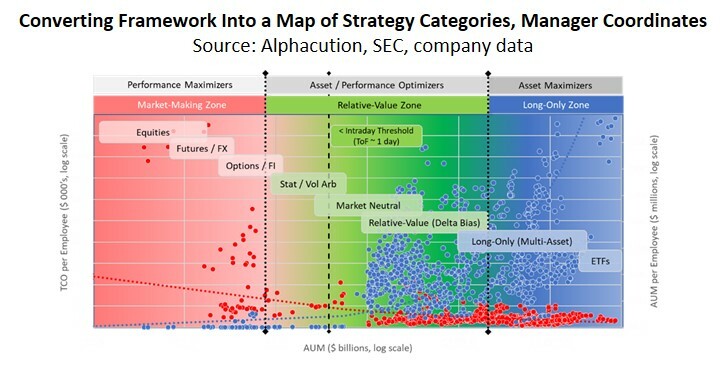 Aite Group’s data and analytics partner, Alphacution Research Conservatory LLC, is the first digitally oriented research and strategic advisory platform uniquely focused on 360-degree modeling, measuring, and benchmarking for technology spending patterns, along with the operational impacts of those investment decisions, in and for the global financial services ecosystem. This research is specifically developed for the full spectrum of asset managers (including large hedge funds and prop shops) and their key stakeholders (in particular, solution providers, institutional investors, asset allocators, and advisors). This 51-page Impact Report contains 35 figures. As part of Aite Group’s Partner Research initiative, this report is available for purchase only and is not part of Aite Group’s research offering. If interested in purchasing the report, please contact us. This report mentions Bridgewater Associates, Citadel Advisors, D.E. Shaw & Co., Man Group, Renaissance Technologies, Two Sigma Investments, UBS O’Connor, BlackRock, Virtu Financial, KCG Holdings, SEI Investments, Moore Capital, Och-Ziff Capital Management, Franklin Templeton, and many others. Thirty companies not included in the data set are listed in the final case study, Discovering Intelligence About Manager X, including Citadel, Millennium Management, Point72, and Vanguard.